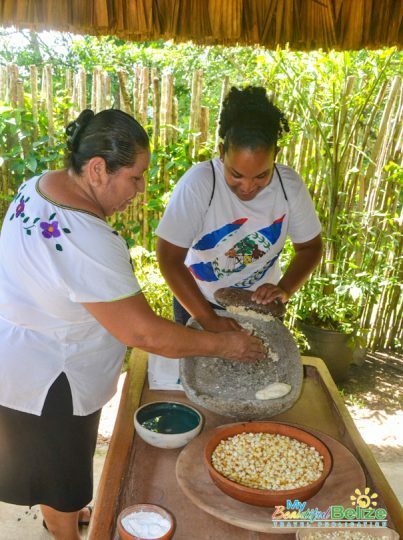 In 2015, researchers made major discoveries at Nim Li Punit Maya archaeological site, in the southernmost district of Belize, Toledo. 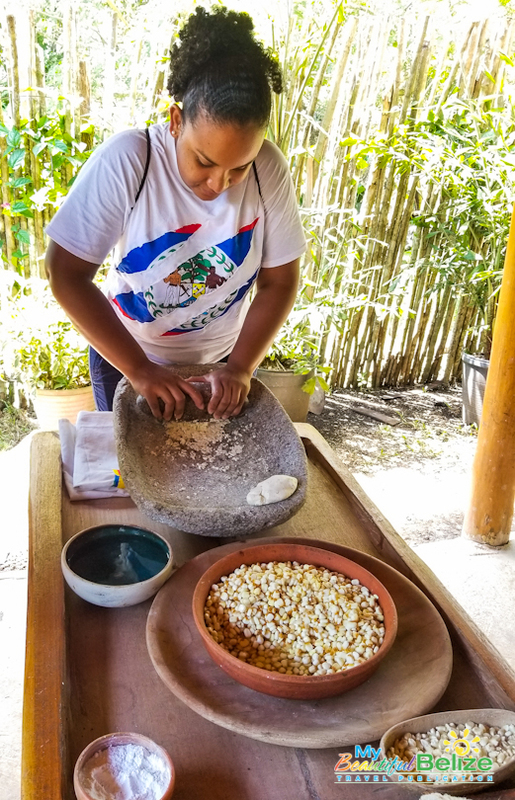 Within one of its pyramids, two buried tombs were discovered by one team member and first-year graduate of The University of California, San Diego (UCSD) Maya Azarova, and a team led by Dr. Geoffry Braswell. 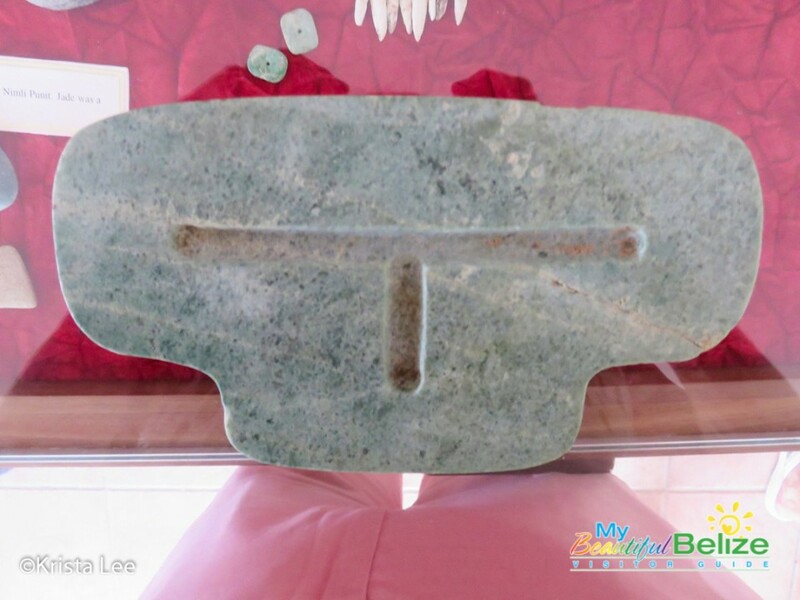 Besides unearthing Stelae, eight pieces of jade and 26 ceramic pots were found within the tombs, and the biggest find of all: a jade pendant as big as a human heart! 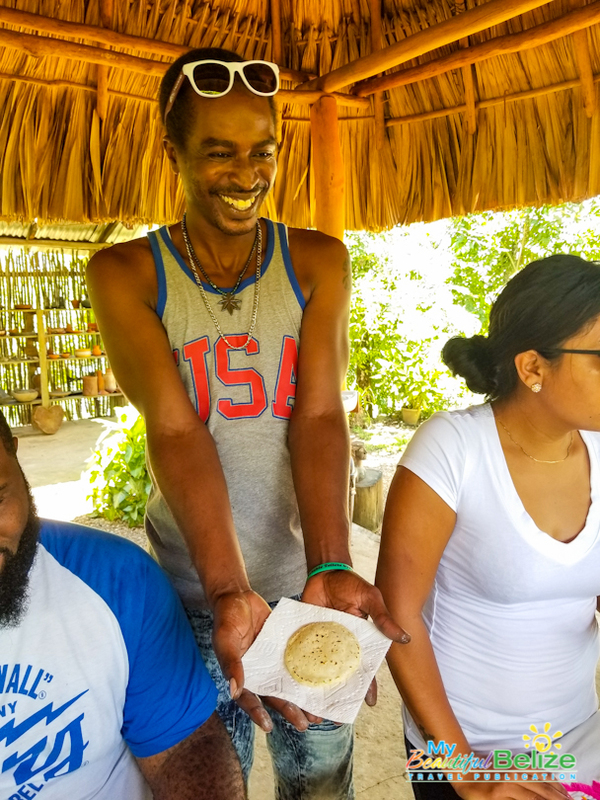 One fine day in 2013, a couple from Toledo happened to be swimming in the waters of the river running through Bullet Tree Falls Village, in the Cayo District. 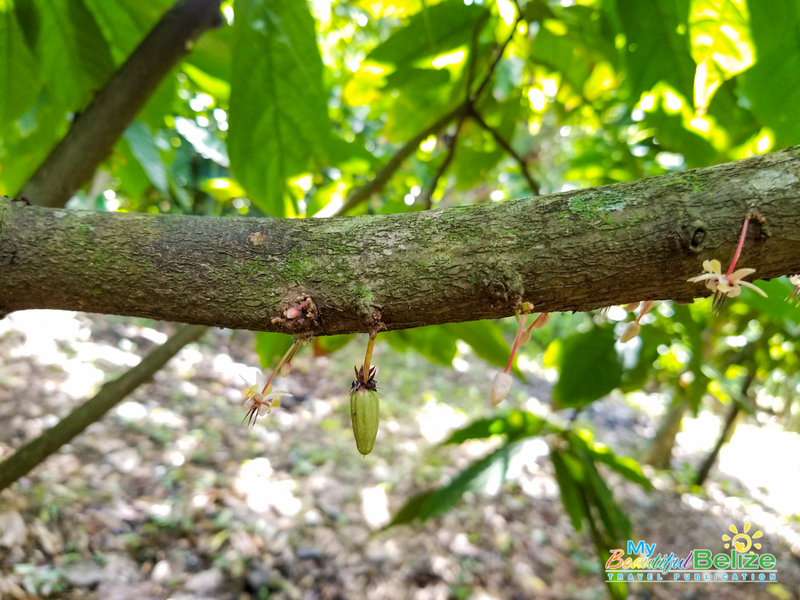 They looked across and uphill, realizing that they were staring at a familiar sight, if in a completely unexpected location! Could it be a fully laden cacao tree?! 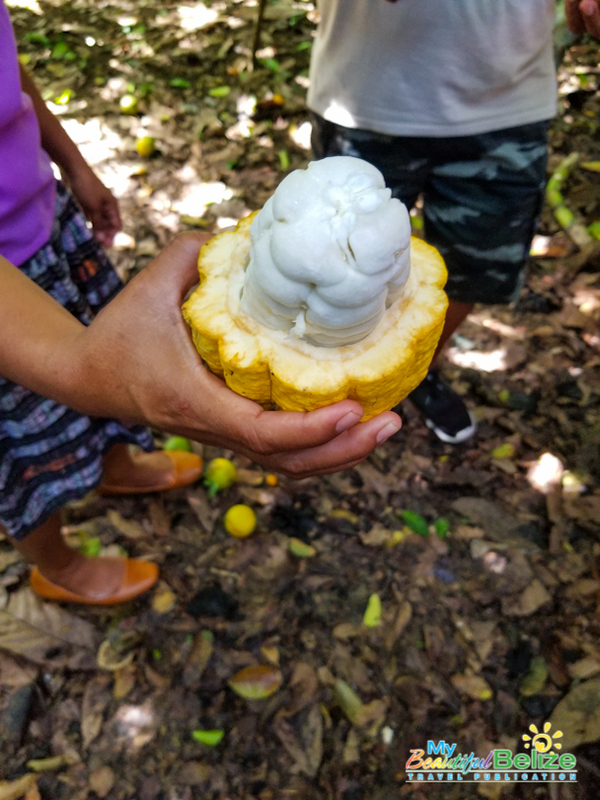 Adrian and Elida Choco had stumbled upon Mr. Marcelino Medina’s 20-acre farm, where cacao was growing merrily away despite not being in the Toledo district, considered the ideal location for such a plant. 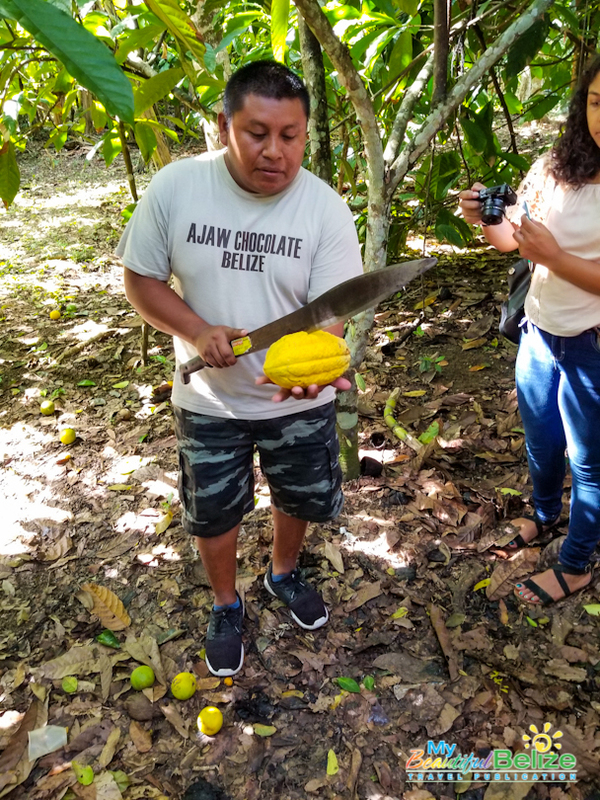 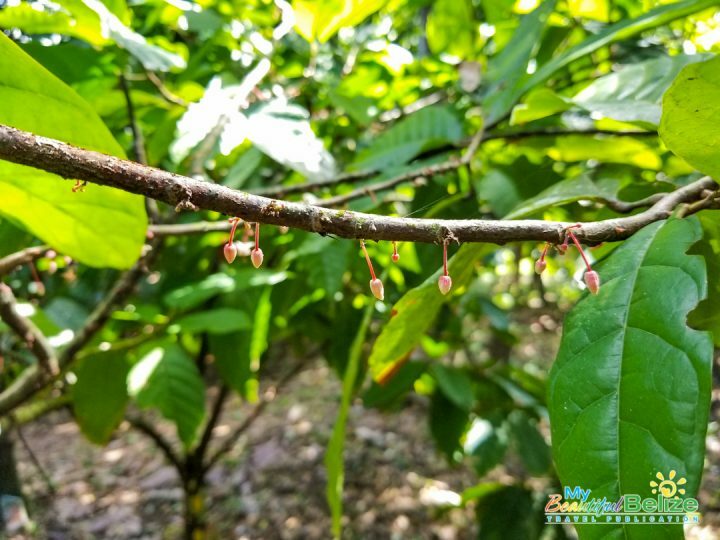 After speaking to Mr. Medina, the Chocos agreed to a partnership wherein the Chocos buy all the cacao produced on the farm, and Mr. Medina benefits from the farm tour, which adds to the fun of their package to visitors. Speaking to Mr. Medina, we learned that he only ever knew farming, and despite having sons and daughters, their interests lay elsewhere, and he wondered what would happen to his beloved land. 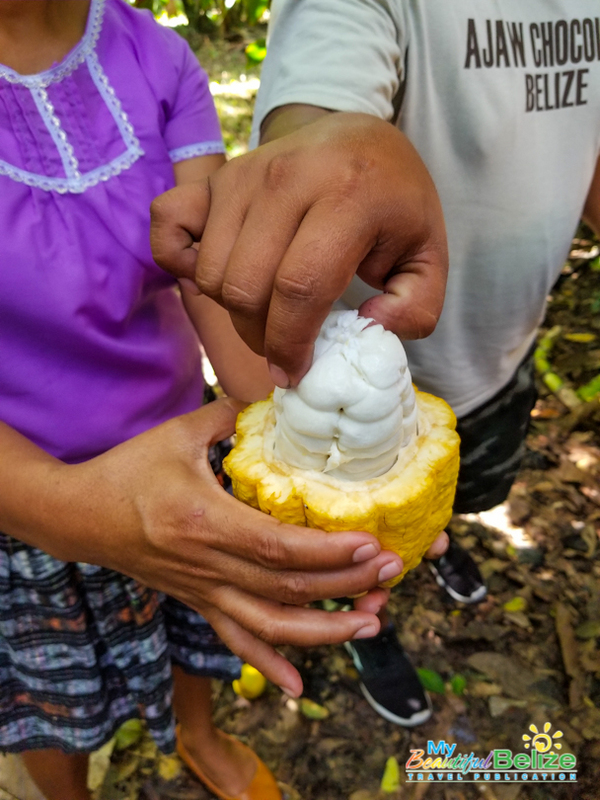 A daughter-in-law of his happened to bring back a sack of cacao seeds for him, knowing his love of growing things. From Toledo to Cayo, a gift exchange brought forth an entire production that now flourishes under the name of Ajaw Chocolate. 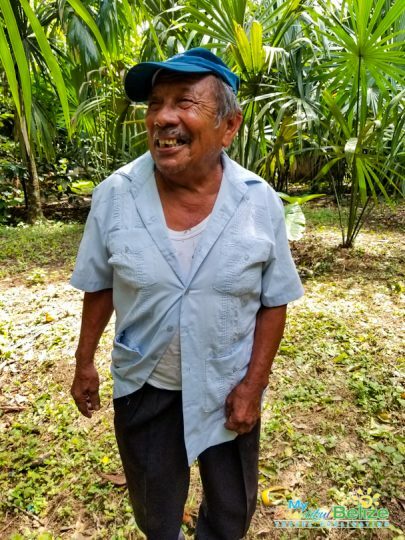 His children may not carry on the tradition of farming, but his produce drew the interest of an enterprising couple who have gone on to show visitors the beauty and flavors of traditional Maya chocolate. Ajaw is NOT a factory, as the Chocos make clear to all who enter their demonstration room/museum. After a quick visit to the farm to see the origin of the cacao beans, visitors get to see the traditional grinding of roasted organic cacao beans. 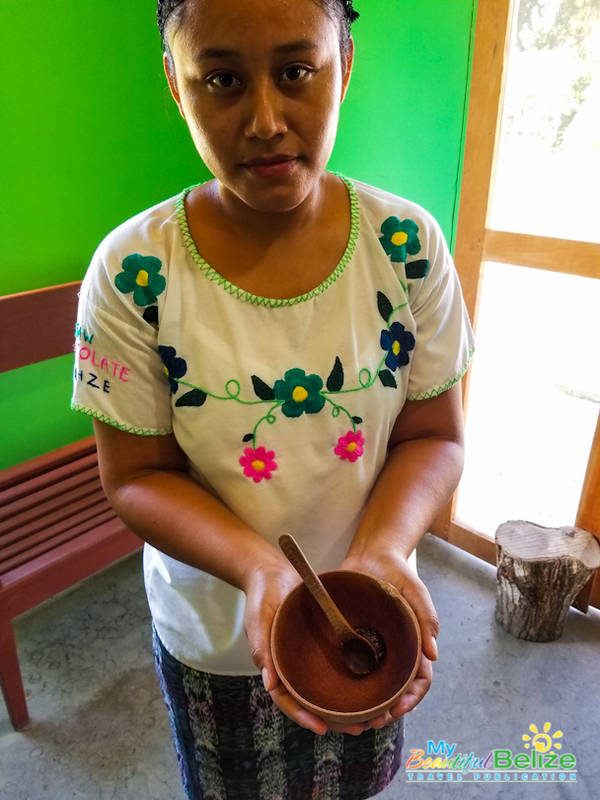 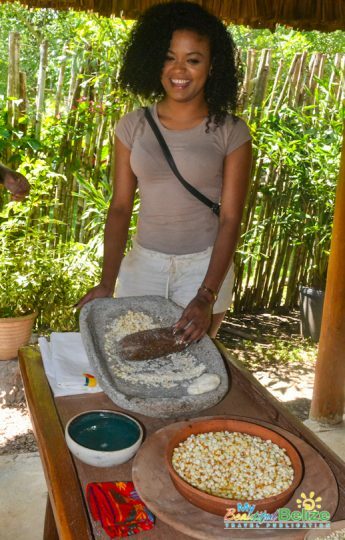 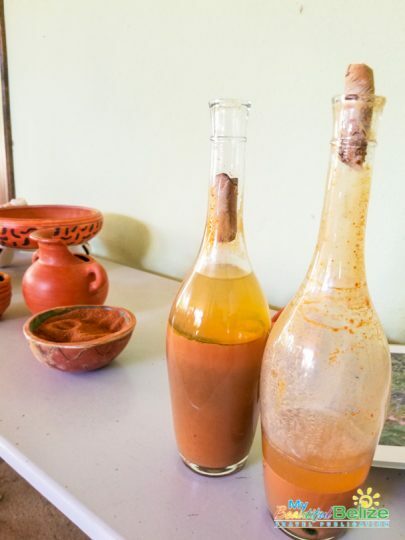 Using the mano y metate (traditional stone grinding tools), the cacao beans turn into a thick paste, which then can be made into a delicious spiced drink much like the ancient Mayas’ xocolatl. Ajaw also prepares delicious chocolate squares, ranging from 70-90% dark, some flavored delightfully with ginger and other spices. 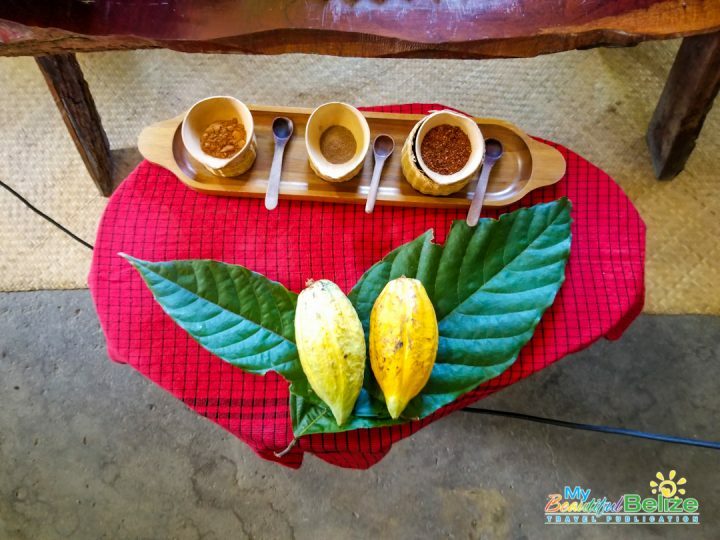 Chocolate wine shots are handed out during the tour, and it is easy to see why chocolate is so beloved the world over! 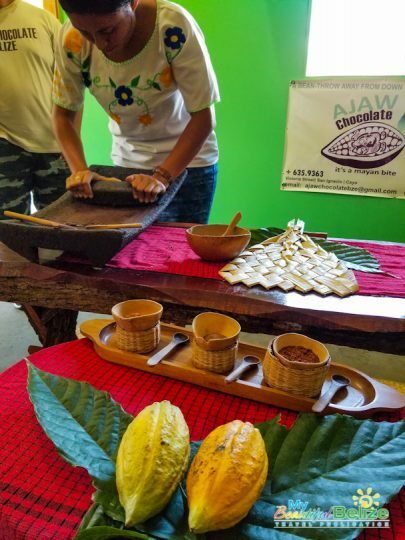 Like the story of the newly-discovered jade pendant down south in Toledo, Ajaw Chocolate is the result of a gift exchange that brought together two unlikely families and saved a farm from uncertainty. 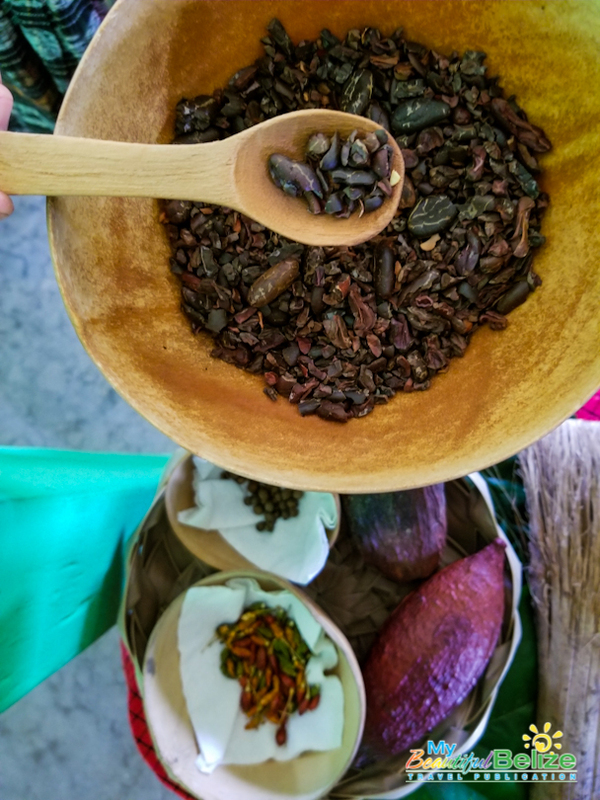 Ajaw processes about 1000 pounds of cacao seeds, exporting the powder and roasted nibs. 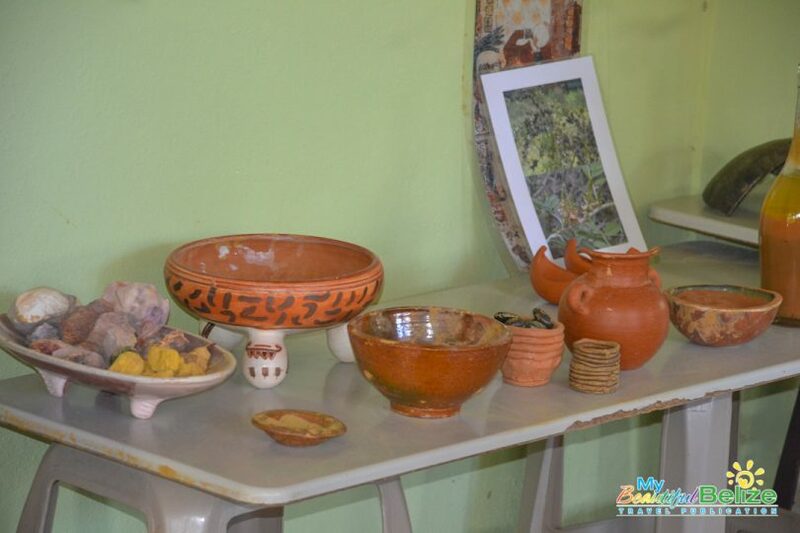 Their museum/demonstration room is located on Benque Viejo Road in San Ignacio and can be contacted via 631-0569. 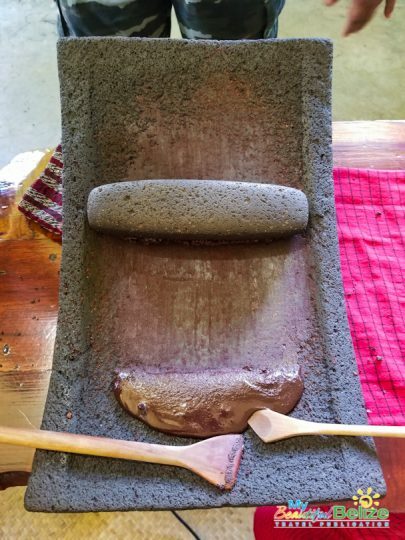 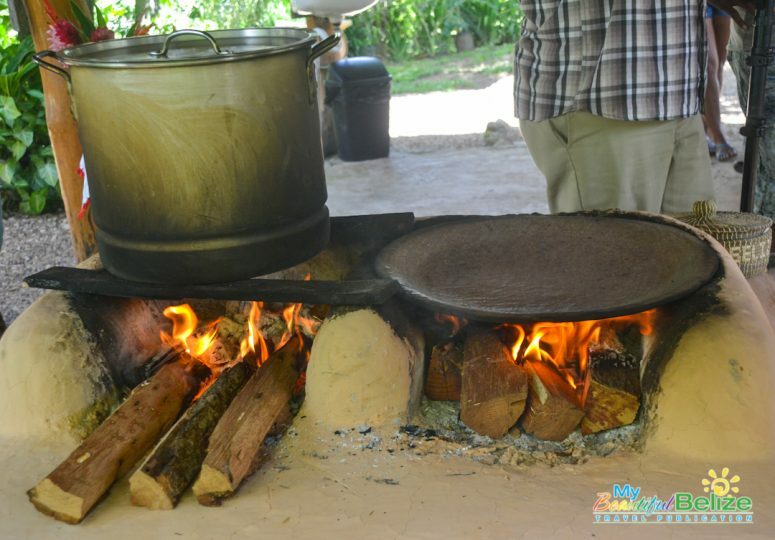 Our media adventure took us from the warm embrace of silky chocolate to the searing heat of a fogon, where we learned to make corn tortillas from the cooked corn to the flattened baked discs of dough. In a valley between San Ignacio Town and Mountain Pine Ridge lies San Antonio Village, primarily populated by Yucatec Mayas. 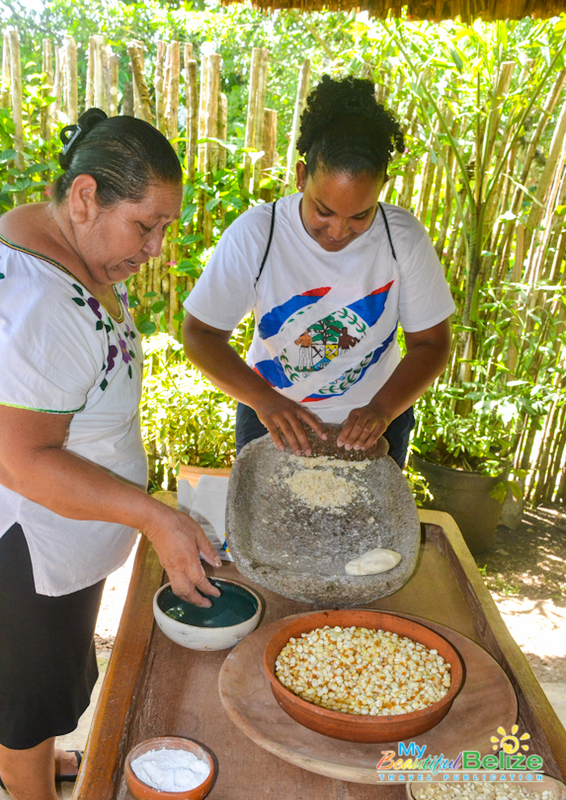 Hoping to teach the world about the traditional cooking methods of the Maya, the San Antonio Women’s Group has a special tour set up to welcome visitors into their home and watch and learn, taking turns on the mano y metate to grind corn cooked in lime, converting it into masa (dough) and eventually into tortillas. 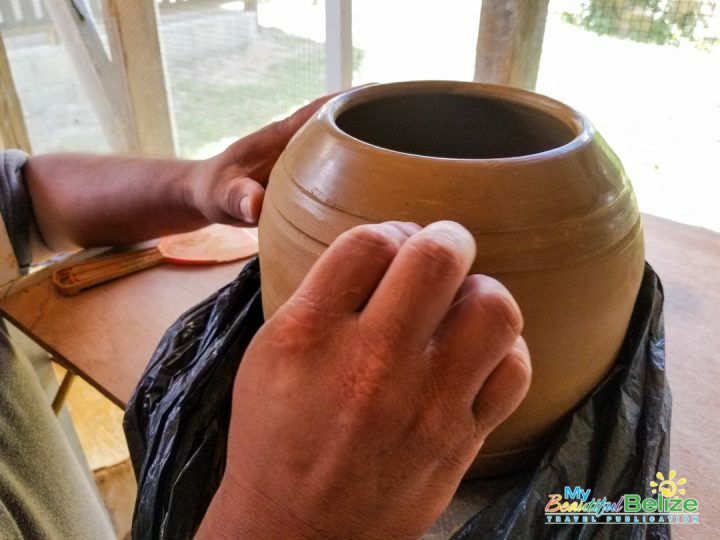 From molding dough into food, we moved to molding clay into pottery. 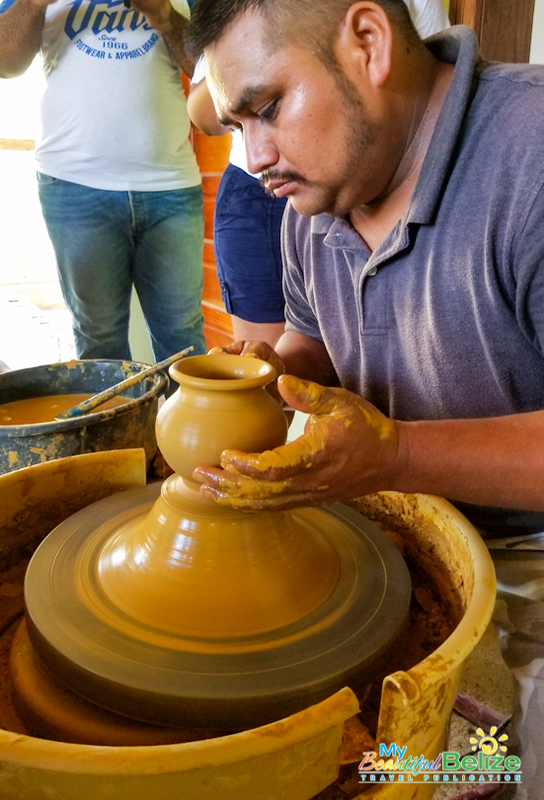 The group also has cornered the market in reproducing beautiful pieces of pottery reminiscent of the kind being discovered in various caves and archaeological sites around the country. 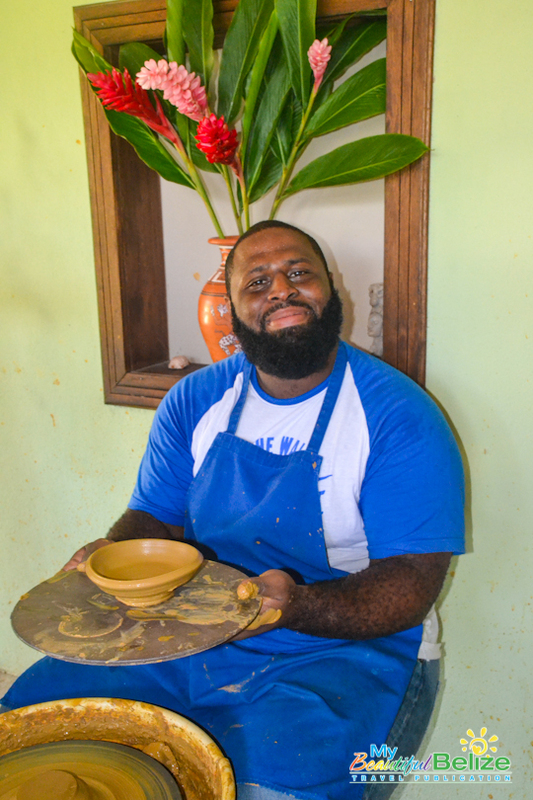 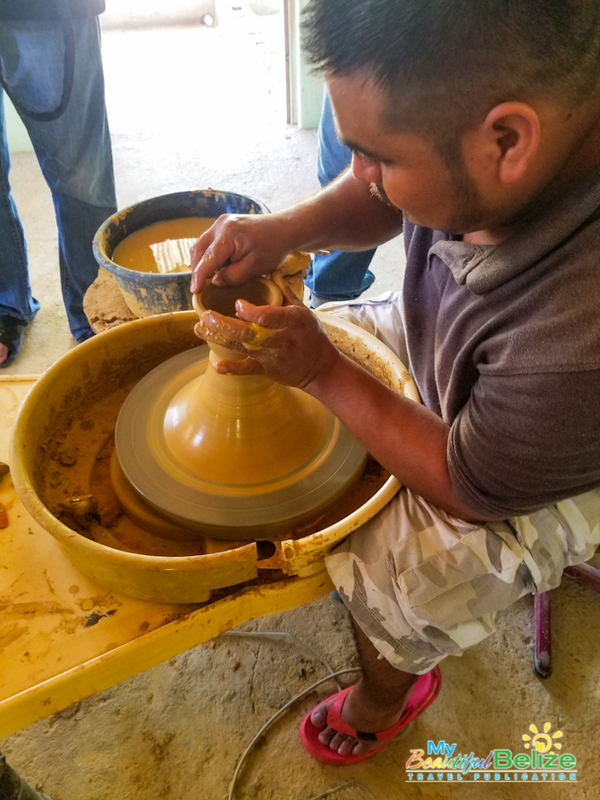 Artisans Rafael Canto and Timotea Mesh, brother and sister, work locally sourced clay and mineral pigments. 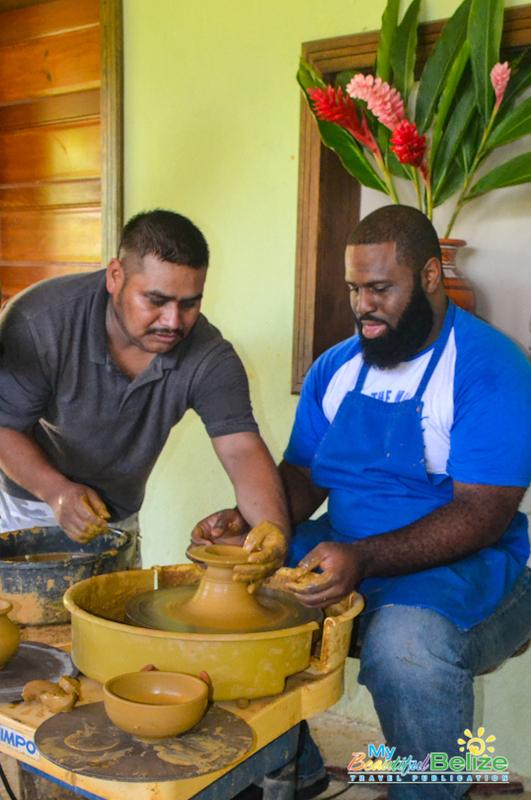 Both artisans have been putting their efforts into capturing the colors and designs in a most organic way, avoiding commercial dyes and applying methods taught to them by Professor Jeremiah Donovan, a professor of ceramics in the Art and Art History Department at SUNY Cortland in Cortland, New York, United States. Using terra sigillata, their polychrome painting is highly inspired by the kind of work that our ancestors once made. 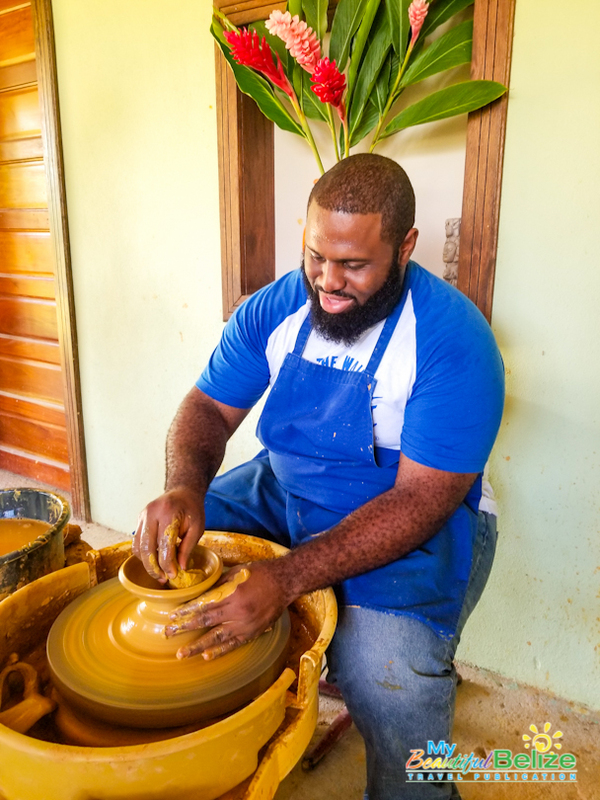 Professor Donovan discovered their work by accident as a tourist, and he has remained in touch since even getting their work displayed at the Dowd Gallery in 2016! Through much laughter and camaraderie, one of our group members manages to create a small bowl, after much painstaking effort. 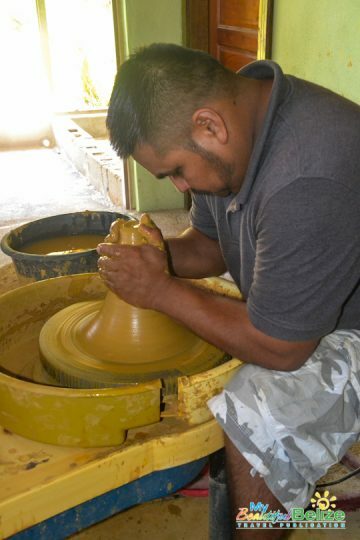 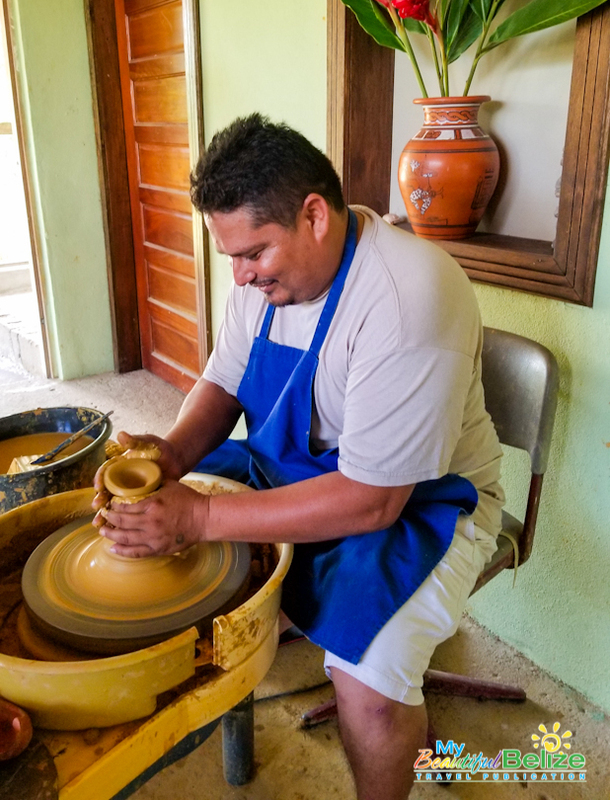 While the use of a modern spinning wheel is employed to create these pieces, it only serves as a reminder of how truly talented and patient our Maya ancestors were to craft unique pieces without access to such tools. 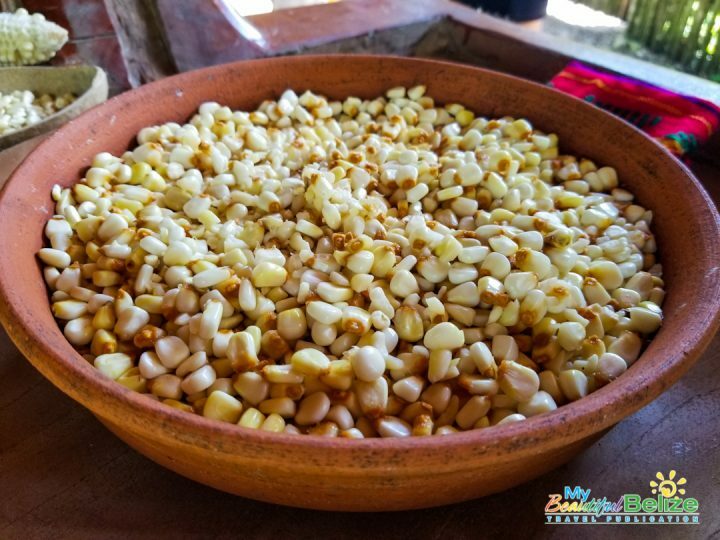 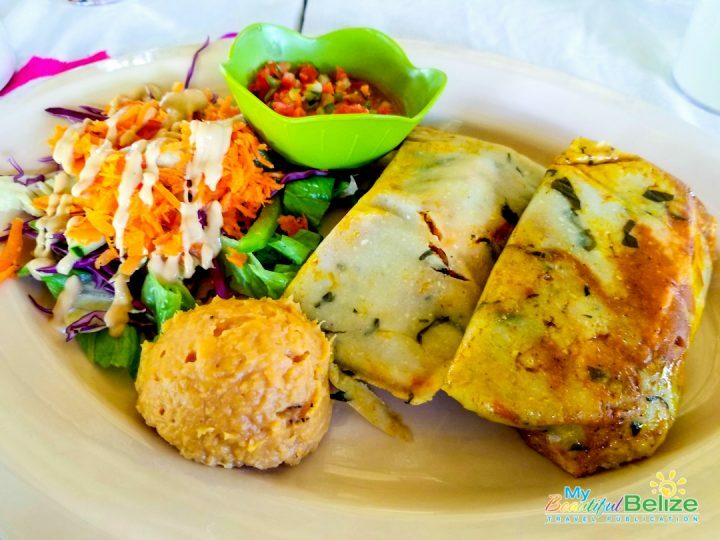 Under the shade of a thatched roof, in the village where Mayas once roamed and hunted, cooked and created art, we ate a delicious meal of tamales (made with corn) fresh salad and fresh juice. 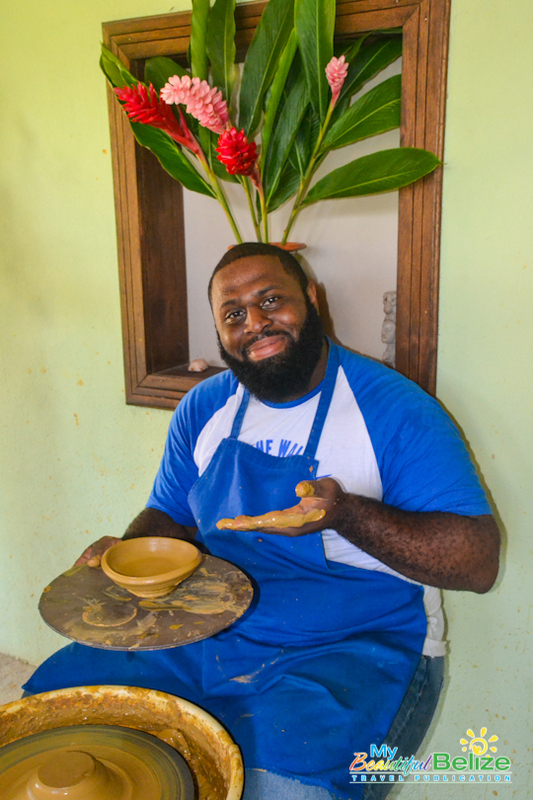 Handmade pottery was used to adorn our tables, the product of the family artists. 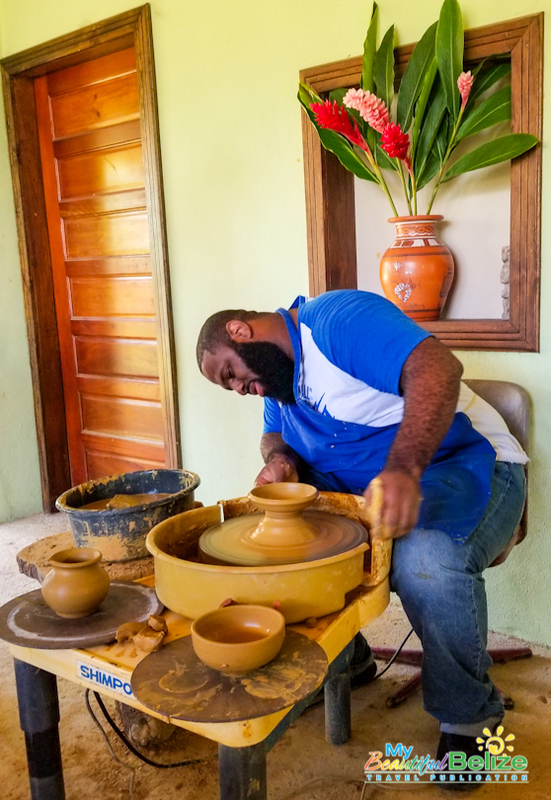 It was clear to us that passed down from generation to generation was a passion and talent that, if not nurtured and celebrated, may soon be forgotten. 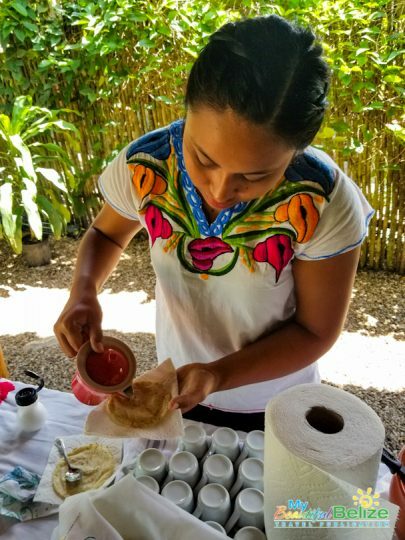 The San Antonio Women’s Group has not forgotten, and they are ensuring that we continue to celebrate and honor the Maya of Belize in their unique way. 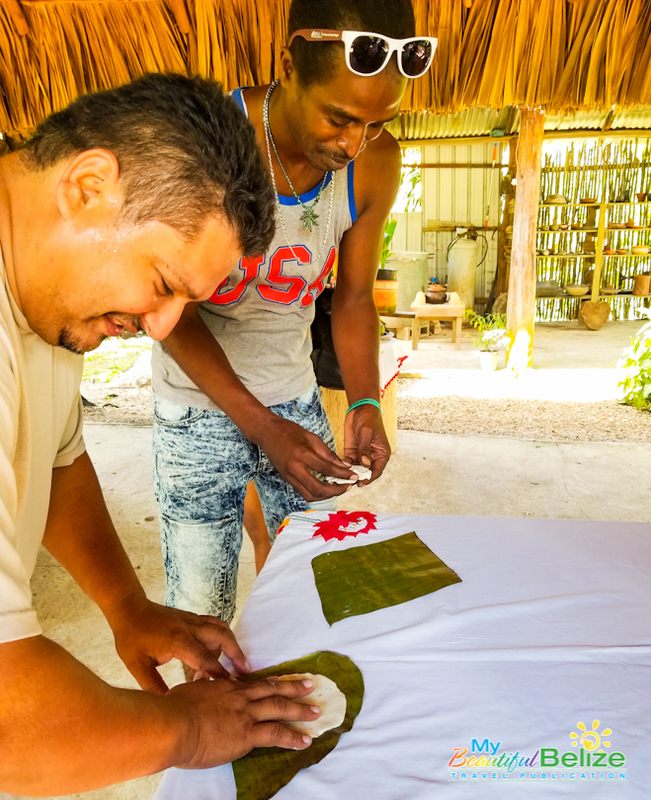 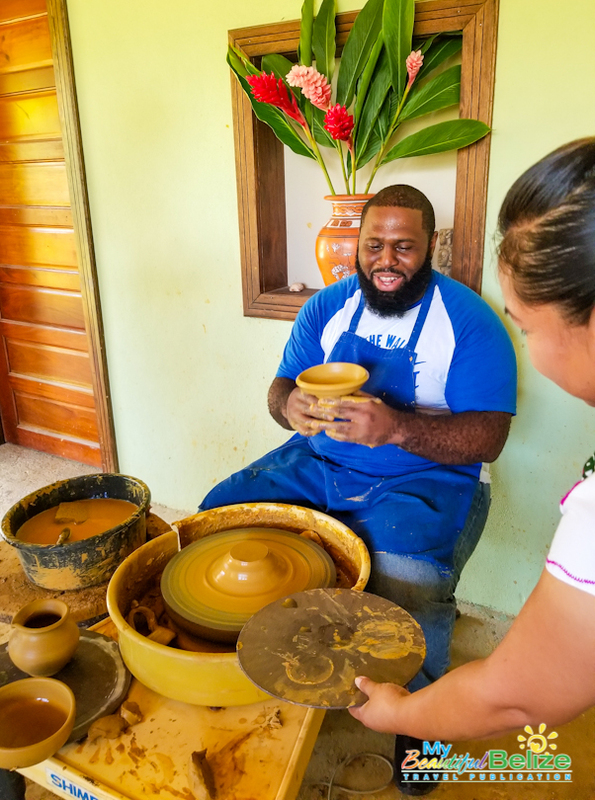 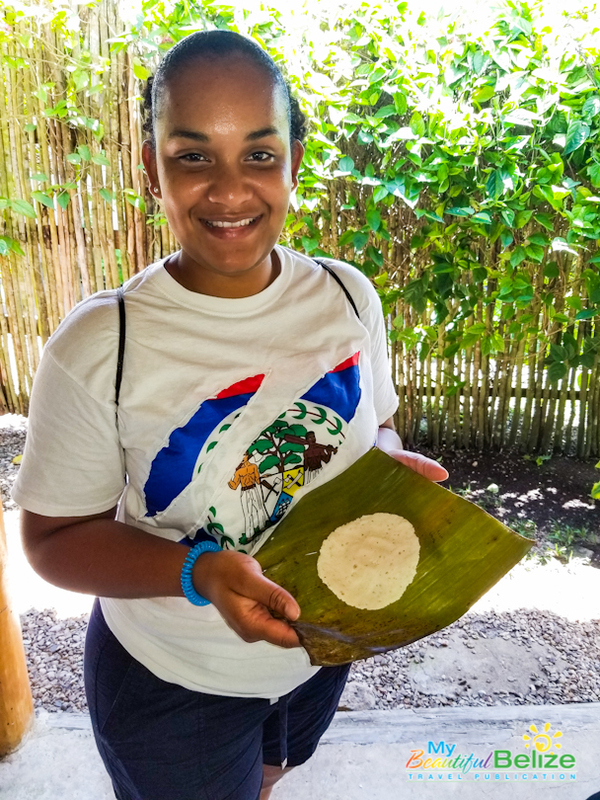 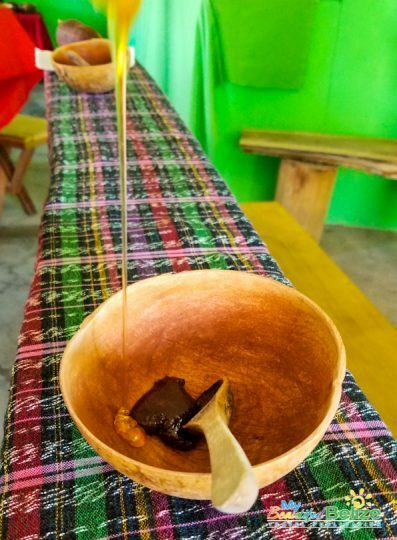 The fact that our visitors can participate and take back with them memories of a unique, truly Belizean experience is a bonus! 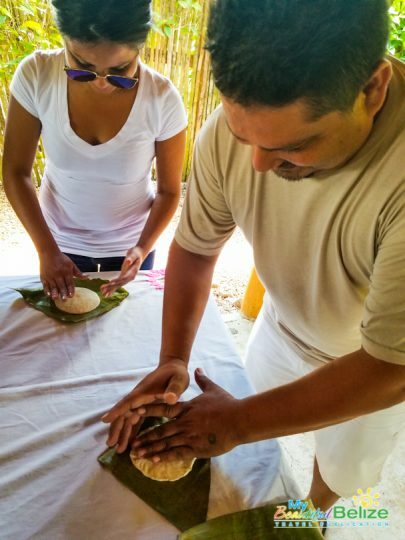 Contact the group via phone at 651-6948, to make your reservations for your own unique immersion experience.